A P10-million development project will be implemented at the 17,060-hectare Lake Mainit in this town to further boost its tourism industry. It was learned that this tourism development program here will also help generate livelihood and employment opportunities for the villagers in this town. This good news developed after the provincial government of Agusan del Norte and the Tourism Infrastructure and Enterprise Zone Authority (TIEZA) recently signed a Memorandum of Agreement (MoA) for the development project in the area. It was gathered that the TIEZA will finance the project under Phase 1. TIEZA is a government agency attached to the Department of Tourism (DoT), and is also an agency to develop, manage, and supervise tourism infrastructure projects throughout the country. The agency will also supervise and regulate the cultural, economic, and environmentally sustainable development of tourism enterprise zones (TEZs) toward the primary objective of encouraging investments. 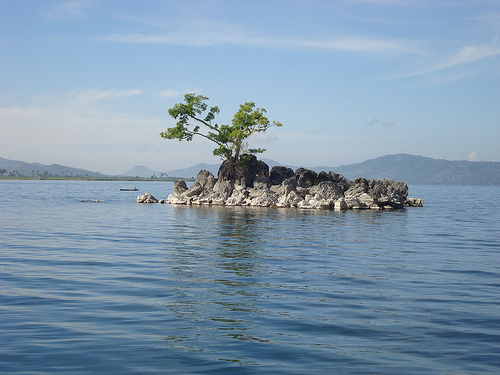 It was also learned that TIEZA found Lake Mainit, the 4th largest and deepest lake in the Philippines, potential for tourism development. Once the project will be completed, it is expected to attract more tourists, both foreign and domestic, since its one of the region’s canoeing sites and one of the most beautiful tourist destinations in Mindanao. Lake Mainit is also surrounded by three other municipalities – Kitcharao in Agusan del Norte, and Mainit and Alegria, both in Surigao del Norte.